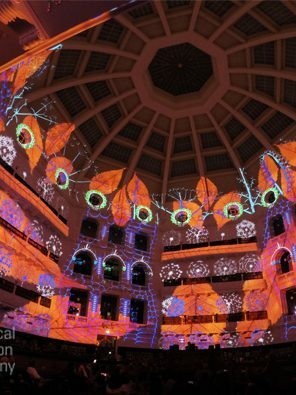 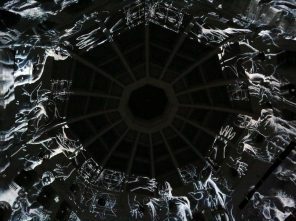 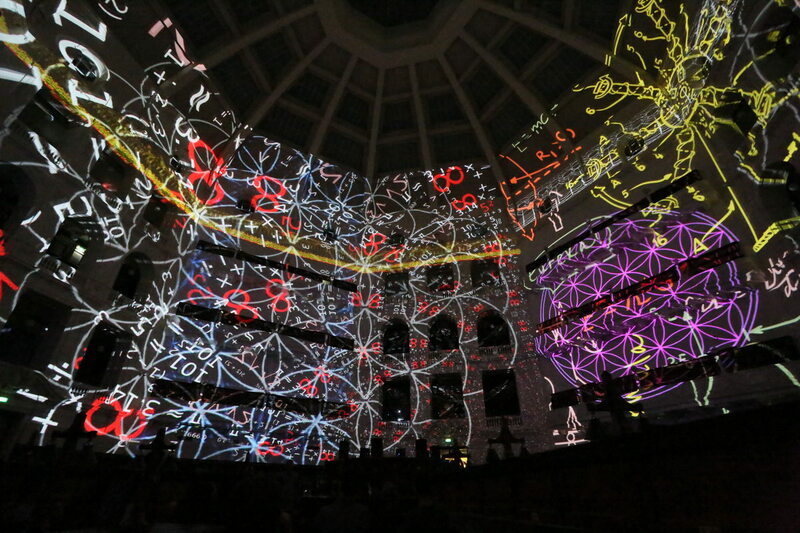 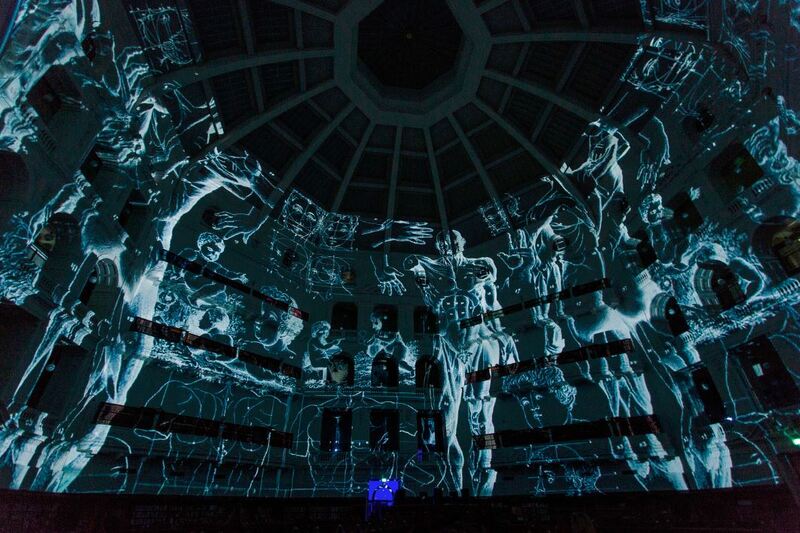 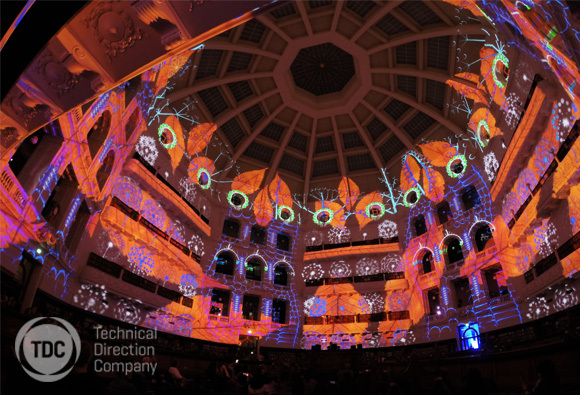 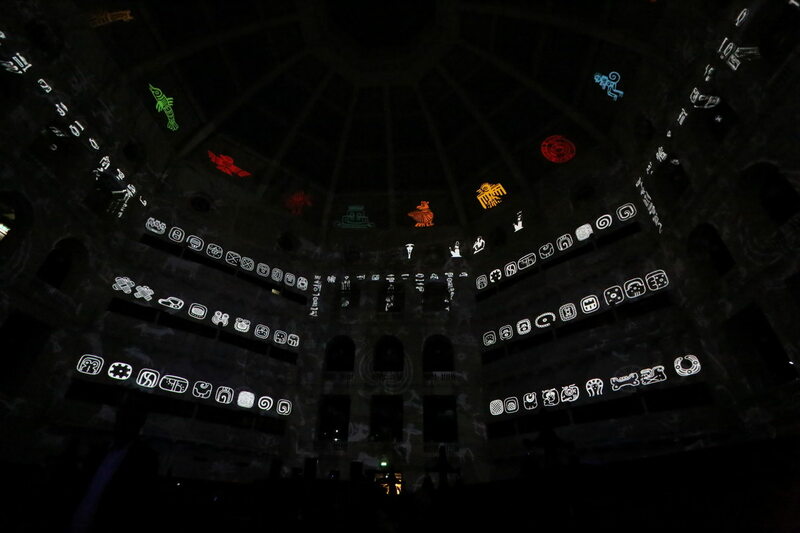 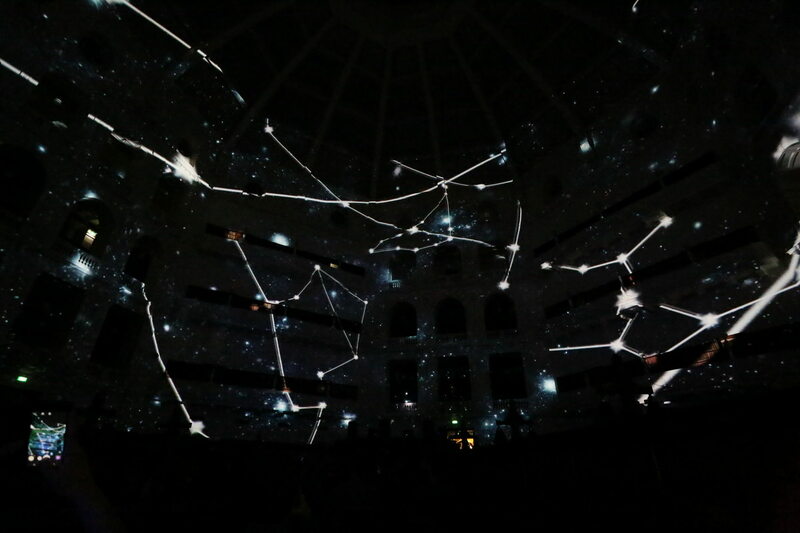 On 20 February at White Night Melbourne 2016, Projection Teknik partnered with TDC to achieve a projection mapping first inside La Trobe Reading Room of The State Library of Victoria. 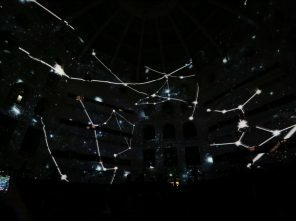 Melbourne is one of seven UNESCO Cities of Literature, which inspired a group of Australian Artists – Nick Azidis, Lisa Greenaway, Adem Jaffers and Bentley Dean – to create Ideation, as a spectacular audio-visual celebration of the power of libraries to teach, inspire and develop knowledge. 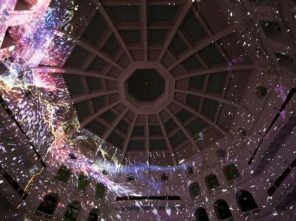 The Library’s majestic La Trobe Reading Room is an octagonal 1,000 meter-wide learning space under a 35-meter high-dome. 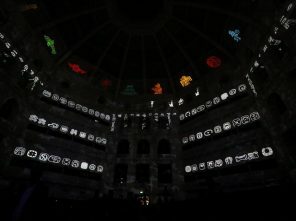 When it was opened in 1913 it was the largest of its kind in the world. 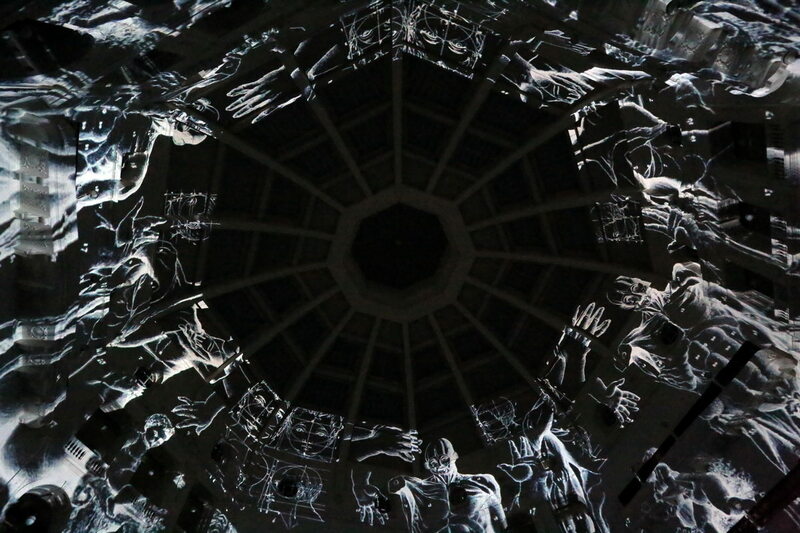 The projection area was 120 metres wide by 30 meters high with a full 360-degree blend. 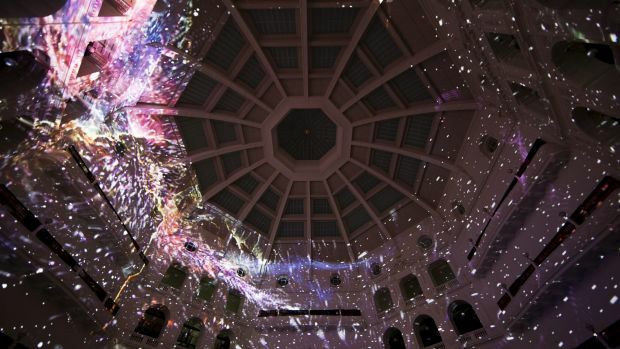 High-resolution content was rendered at 8K wide and 2.5K high creating a single image at an amazing 20,000 pixels. 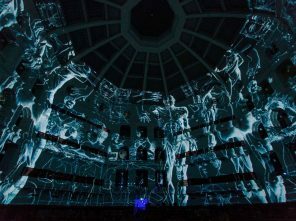 “To create the video projections this year we used our d3 4x4pro media servers running new VFC output cards as well as play out of fully immersive surround sound, integrated with high-resolution Barco HDF-W26 large-format projectors. 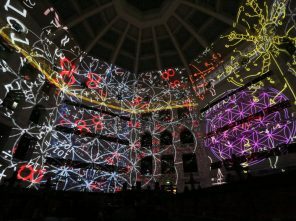 It was a great project to do, very cool, and I loved it,” enthused Cain.